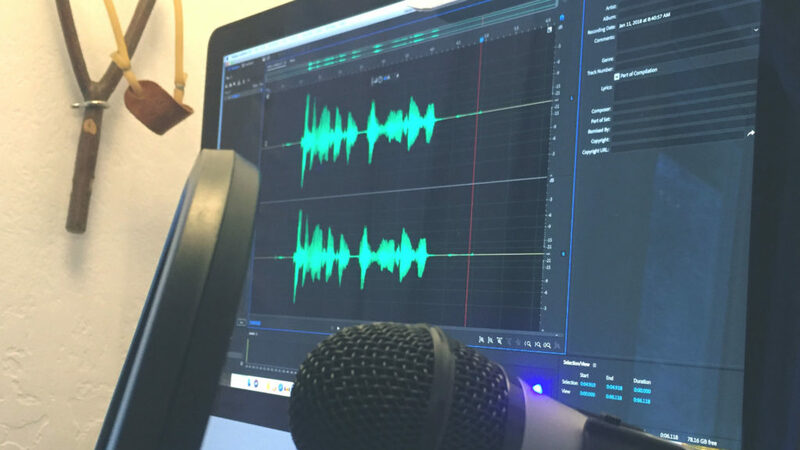 Home > Uncategorized > How to Launch An (Accidental) Podcast! Yay! We’ve launched a podcast! It’s available now on our Podbean landing page, Stitcher, and will soon be available on iTunes and GooglePlay. Here is the RSS info (https://pathlesspedaled.podbean.com/feed/) link for the podcast savvy. When I started our #PLPTalks interview series on our Youtube channel it was an imperfect solution to a problem – winter. Since we don’t own fat bikes, it is really hard to create cycling content when there is snow on the ground. I decided if I couldn’t make cycling content locally in Missoula, I could at least make SOMETHING by interviewing people we knew online. It wasn’t ideal, but better than our Youtube channel going into hibernation. To be honest, I was completely resistant to the idea. The whole point of doing it in video is that you get to see the person react, laugh, think, etc., It was a way to bring to life people who you may have only seen in a still photo on Instagram. Not to mention, starting a podcast meant taking the time of monitoring and growing ANOTHER form of distribution. I’m a one man band stretched thin as it is. Also, ironically, podcasting in many ways is more expensive than doing Youtube videos. Media hosting and distribution on Youtube is free. Podcasting with any regularity and to any decent scale requires a dedicated media host ($100 annually at the least) separate from your web hosting. Once you go down a rabbit hole it’s hard to claw your way out. I knew that if I was going to commit to a podcast, I would want to improve the quality at capture to reduce the work at post. So I started researching the best inexpensive mic, mixer, recorder and how the heck you feed signals into these devices and feed it back to the computer. It was/is a headache in progress. All that to say, I’ve committed a lot of time and resources to an accidental podcast that may or may not recoup the investment. I write all this to give readers/viewers/listeners a little sense of what it takes and what it costs to do things. There is one point in our interview with Martina Brimmer from Swift Industries, where she talks about how much of their lives she and Jason has given to Swift Industries and how she hopes one day soon Swift will be able to reciprocate. Path Less Pedaled has existed for almost a decade in various incarnations. From the very beginning we’ve placed our hearts on the line so that we can share our experiences and hopefully provide some information and inspiration for others. In the beginning, it was easy to do. The energy, creativity and willingness to give seems limitless. Almost a decade into this project, there is still a lot of creativity to give but I’m racing towards the hard conclusion that it isn’t infinitely sustainable. We need your help. We need your support. Both emotionally and financially. Thank you to those that have signed up to be monthly subscribers. It helps offset costs as well as gives me a baseline to work off of when creating content (budget for travel, gear to review, etc.,). We truly appreciate it. Every little bit. Likes and shares are free and easy to give, but parting with real money is hard. Even if it’s three dollars a month. I know. I get that. If you’ve enjoyed our videos and podcasts and are in the place to be a monthly subscriber, consider signing up for a recurring payment. If you aren’t in a position to give financially, then please share and subscribe to our content. It actually helps a great deal!